We had been thinking for a while about finding a charity to support as a company. We have a weekly team breakfast where we take the time as a team to catch up, reflect on the previous week and to talk through the week ahead. It’s important for us to have this time out of the office as a team. When we heard about The Archer Project, what they do and their Corporate Program of the Breakfast Club it seemed like a perfect fit for us as an organisation. As part of supporting The Breakfast Club, we had the opportunity to volunteer at the breakfast service for a week. 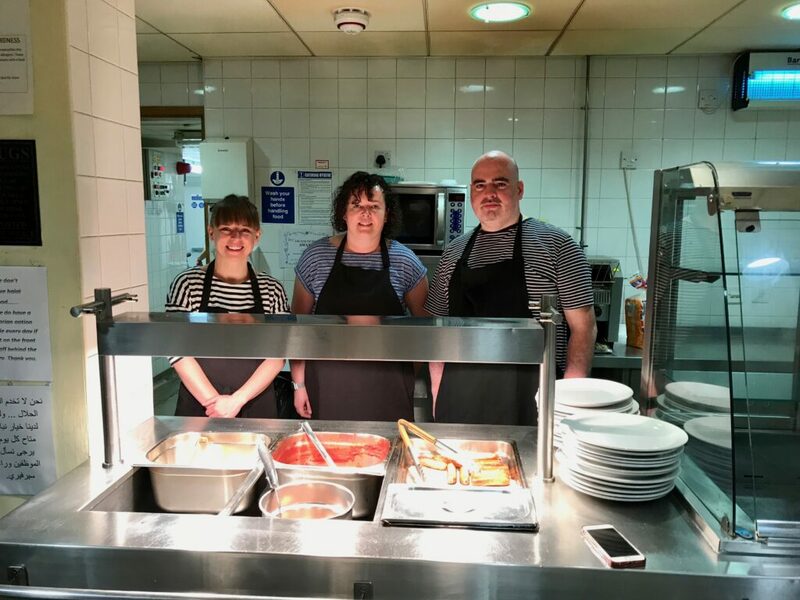 So the Sheffield team went from 8-10 each day and helped out serving breakfast and washing up. It was an interesting experience for us all. We all enjoyed having the opportunity to get involved and see exactly how the project helps people. While we were there, we served just over 200 breakfasts over the 5 days and did 10 hours of washing up! The Archer Project is a day centre in the centre of Sheffield for homeless and vulnerable people. This means they provide support for people when they most need it. On average they see 60-90 people a day, and over a year, between 1000 – 1200 different people use the centre. Crisis support – providing people with showers, 2 meals a day, access to computers and phonts and also clean clothes. Health and Wellbeing Support – the centre provides services such as dentists and health professionals as well as running activities such as football and art. Moving On Support – when people are ready, there are a number of ways the organisation can help with this. With 1 to 1 support and through their own Just Works program which provides employment opportunities. We’re looking forward to being long term supporters of the project.